After our love-themed storytime last week, I decided to go in a different direction this week. 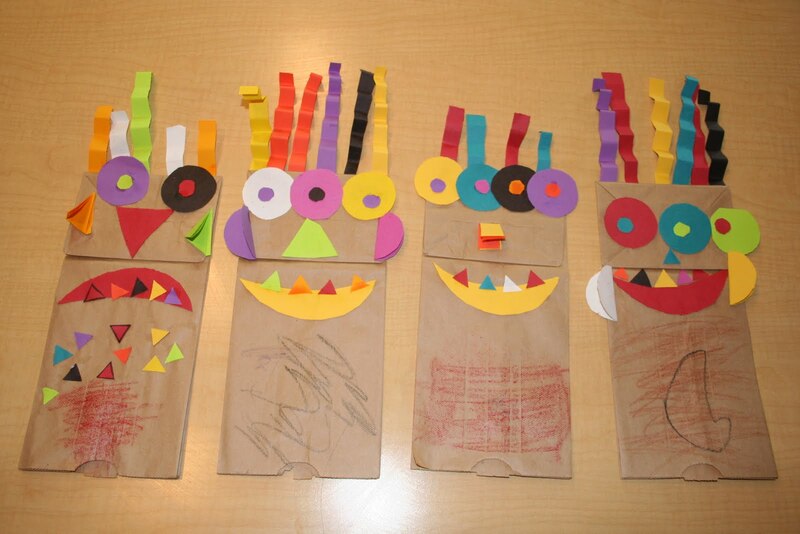 Our theme is monsters, which could be interpreted in a lot of different ways. For my storytime, I'll be reading three monster books where the monster is not scary at all; I don't want any of my storytime kids to have nightmares! 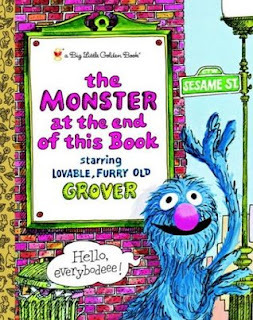 I could also see this theme working well with an older group, perhaps during an evening storytime. The order in which we place our activities in storytime is just as important as the activities we do. 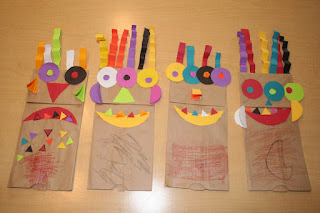 In this case, I left the simplest book toward the end because the shapes listed can easily pave the way for the kids to make their craft: paper bag monster puppets.